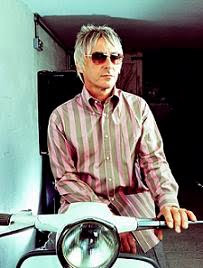 Next month Paul Weller will release his tenth studio album, an accomplishment that is impressive in part when you realize that Weller remains a virtual unknown to all but punk afficianados in the US. Compare that to his godlike stature in the UK where he's lovingly referred to as the modfather, a sort of elder statesman of British pop music who is credited with the advancement of Britpop as much as either the Beatles or Ray Davies (neither of which had the hands on experience with the 90s movement as Weller did). He is arguably one of my top favorite living artists (along with the aforementioned Davies, Pete Townsend, Mike Ness and Billy Joe Armstrong) and the one who is still producing the mot original, highest quality music. And that's saying something when you think of what Billy Joe's done with Green Day of late, and Ness' own strong songwriting skills continue unabated.Still, Weller's solo albums, for me, have been hit or miss. The misses, admittedly, are vastly superior to the rest of the schlock on the market. But, not everything he touches turns to gold -- just most of it. So, too with this latest release, Wake Up The Nation. The tracks run the gamut from outstanding to merely passable. Half of them are pure bliss, equally invoking northern soul and guitar driven punk rock -- two things Weller can combine like no one else. The other half are over produced, atmospheric pieces that pick up where his last release, the enormously successful (which I wasn't all that fond of) 22 Dreams left off. The album is heavily influenced by sixties psychadelia, almost too much so, with some of the effects overwhelming the songs, as in the case of the last track, "Two Fat Ladies". The title track will shake up the nation for sure. It's riotous bit of pop sure to appeal to the masses, and at the same time scratch all the itches of Weller's longtime, more demanding fans. The lyrics deal wtih the inreasing impersonal nature of technology: Get your face off the facebook / and turn off the phone / the death of the postbox / nowhere feels home. The song has a striking resemblence to "From The Floor Boards Up", anoter upbeat, fast paced piece of rocking soul. It's quick, it's quirky, it flows smoothly in a memorable and catchy way and I expect it will be hit everywehre but in the states. 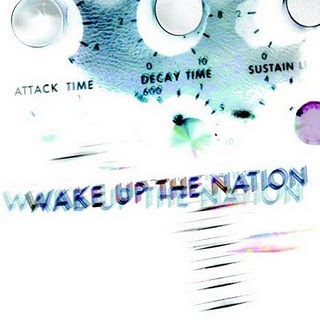 "Wake Up The Nation" is packed into the first third of the disk with "Moonshine", "No Tears Left To Cry", and "Fast Cars, Slow Traffic" (is there a stray Cure piano tinkle sampled in there? ), all strong songs and helping make this the best start to an album that I've heard in a long time. The songs are soulful, especially the Motownesque "No Tears Left To Cry", and would seem to fit better with 2005's As Is Now than just about any other of his solo works. The rest of the album isn't as strong, partly as I mentioned because some of it seems overproduced, especially the aptly-named instrumental "Whatever Next", which Weller describes as a breather; sadly, it's a noxious one with unneccesary tinkling windchimes. 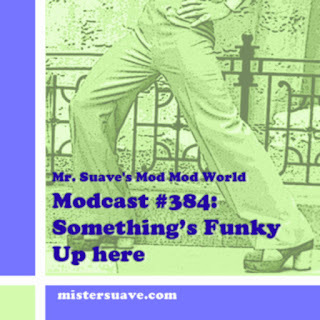 Or, "Up The Dosage" which probably would have been a fine, upbeat floorshaker, until they decided to play mixmaster with it. Yet, there is one song in the latter half of the album that really rocks is "7&3 Is The Strikers Name". It too is atmospheric, pscychadelic, and on first listen might seem to have too many gimmicks, but the underlying melody and Weller's vocals actually pick the track up and really push it forward. Overall this is a great record, and will probably fare well in the markets. It will be interesting to see if it can reach #1, giving the Modfather his fourth album to do so. An impressive trick no matter who you are. Thanks for posting this note about Weller's new album. Like you, I too have been a longstanding fan of all things Weller - especially the Style Council (what a bold departure from the Jam). I recall picking up his first solo outing, The Paul Weller Movement when it first came out. I really dug the new direction, a direction that was maintained well in the first series of solo albums. My worry about the new release is this: should we be excited? Believe me, I want to! But I've been left luke warm with the likes of Illuminations, Hellocentric, and (yes) even 22 Dreams-despite heavy rotation on my turntable. 22 Dreams really is Weller's Ogdens' Nut Gone Flake: allegorical, reflective, conceptual. I was hoping that he would pursue the direction of As Is Now rather than take such a detour. Then again, if anything, he keeps his fans on there feet! The perfect example being his brilliant collaboration with Andy Lewis - "Are You Trying to be lonely?" Really want more of this sound!!! The challenge always facing Weller is how to top Wild Wood (note: I've placed Wild Wood as the high standard and NOT Stanley Road - Stanley Road was usurped into Brit Pop in the mid-90s and that ownership proliferated the album to heights that it really didn't warrant). So I guess that I am actually nervous about the new release. Thanks for the comments, and I agree with much here. I think the new album is a mix of As Is Now and 22 Dreams really, an extension of both with lots of soul and lots of psychadelic flourishes. In fact, I'm right in the middle of a little post highlighting Q's rave review. Should be up son.